Goettingen is a lovely old German town, full of cheerful bicycle riders and committed cultural “Wissenschaftler”. I just went there for a day and a half. It seemed more like a week. Right after arrival, there was even time for a relaxed bite and drink on a terrasse, which allowed me to get acquainted with a few extraordinarily smart and committed “cultural musicologists” - for excellent reasons, they reject the more usual term “ethno-musicologist”. A very enjoyable beginning. After this, there was an opening of a small “interventionist” exhibition, which we call Past Landscape: Among Old Masters. This is the first show of its kind, where our videos were exhibited among old master paintings. Curator Anne-Katrin Sors, who is in charge of this collection which is reputed to be the best university-based art collection in Germany, had installed our videos among the old master paintings. This was a first for our project, and the result was very interesting. The paintings became modernized, the videos almost still. 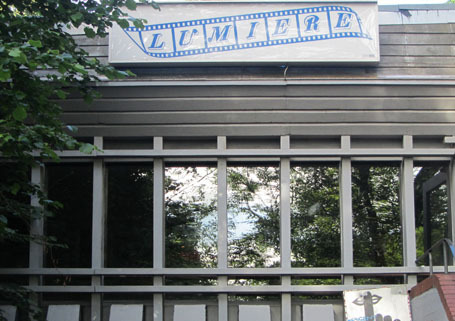 And to top of this half day, the film A Long History of Madness was shown in a lovely arthouse theatre, called Lumière. An excellent Q&A chaired by filmmaker Lalit Vachani generated a passionate debate, about such different issues as the film’s multilingualism, the collaboration between Michelle and me, and Françoise Davoine’s role in the process. The next day, Friday the 25th, I was a guest, for the day, of the Featured Thinker Day, an annual event organised by the Zentrum für Theorie und Methodik der Kulturwissenschaften, based at the University of Göttingen. 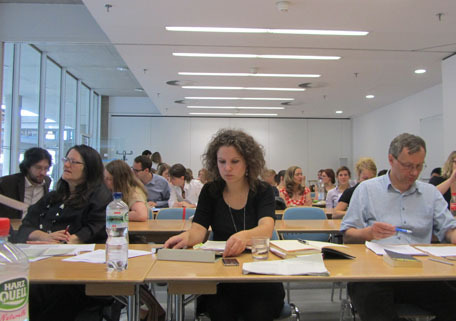 The concept of this event is brilliant: scholars, mainly but not exclusively young scholars, read a considerable number of my articles, and in pairs of two, over three seminar sessions, respondents raise issues that then become the subject of debate with the audience. I thought the day would be long and heavy. In reality, time flew by, and before I knew it, it was over. The gorgeous weather helping, we ended the day as we had begun the previous day: eating, drinking, and talking on a terrasse. All in all, it was just wonderful. April was a relatively quiet month, at least, in terms of travel. Michelle and I worked hard on the preparation of the fist and biggest film shoot for our next project, Madame B. Film Projects We hope to begin announcing the phases of production soon. The shoot is on Åland, where Mervi Appel will act as the primary producer. We have a draft script, which is now in the hands of our advisors, Françoise Davoine and Marjo Vuorela. Michelle and her family went to London for three weeks, where she will do, among other things, what needs doing in preparation of the exhibition at the Freud Museum, which opens September 20th under the title Saying It. 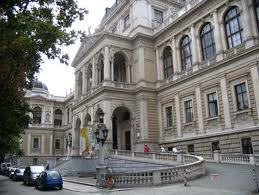 From May 8th to 13th I will be in Vienna. The schedule for these five days is exciting, hectic, and rich. The day of arrival, May 8th, Nina Hoechtl and I will put the finishing touch to a small exhibition Nina initiated and organised at the VBKÖ (Vereinigung Bildender Künstlerinnen Österreichs) Maysedergasse 2, 4th floor. The exhibition opens the same evening of the 8th at 7 pm, and can be visited after that on Fridays May 11, 18 an 25 from 5 to 7 pm, and Saturdays May 12, 19 and 26 from 4 to 7 pm. Sissi was the first patient of Françoise Davoine, the analyst and main character – and actress playing herself – in the feature film. Like Freud’s Dora, Sissi dismissed Françoise, who seemed incapable of helping her. A few years later, and still confined to a psychiatric hospital, Sissi’s “second chance” in the shape of another analyst, is the fictional sequal to her debut. The analyst, this time, is not afraid of putting herself on the line, an identification that allows the unattainable memories to come to the surface. Sissi was the first patient of Françoise Davoine, the analyst and main character – and actress playing herself – in the feature film A Long History of Madness. Like Freud’s Dora, Sissi fired Françoise, who seemed incapable of helping her. Sissi’s “second chance” slowly but surely allows her to reach into her deepest darkest self. The (fictional) analyst (brilliantly played by real analyst Marjo Vuorela), this time, is not afraid of putting herself on the line, an identification that allows the unattainable memories to come to the surface. And it is because the latter is able to see how, in fact, Sissi “treats” her as much as the other way around that Sissi is enabled to reach into her darkest past. The single-channel projection is called A Second Chance (Eine zweite Chance, subtitled in German), exclusively devoted to (fictional) analytic sessions with dialogues gleaned from the original session notes. Thus we try to confuse the distinction between fiction and documentary. This is accompanied by Sissi Outside on a monitor, to suggest that Sissi’s existence, confined as it is, is not limited to the hospital alone. In Western culture, “madness”, or what is called by a variety of medicalising labels, psychosis, schizophrenia, sociopathology and the likes, remains the last frontier, the form of otherness that, in the end, is hardest to deal with. Madness is not confined to groups of ethnic, sexual, age or racial definition. Perhaps it is because we cannot define and then relegate it to elsewhere, it is so difficult to overcome the boundary that separates the mad from the allegedly sane, thus leaving them to social ostracism and loneliness. Yet, frequently, the alleged madness expresses itself in a surplus: hearing more voices than the sane, the mad have a richer psychic life. For Sissi, this surplus takes the form of her imperial demeanour: she thinks she is (like) her namesake, the empress of Austria-Hungary. She spends time and money to dress and coif accordingly, wears extravagant albeit non-precious jewelry, and talks from high-up to her analyst. In order to further confuse the boundary between documentary and fiction, under the name Sissi’s Skins we display some of her dresses, hats, purses, and jewelry. The next day, May 9th at 7.15 pm I will give a lecture (with lots of images on Power Point) at the Institut für Theater-, Film- und Medienwissenschaft of the University of Vienna, titled Madness, Migration, and Narration: Art-based Research / Research-based Art, Beyond the Last Frontier. The title is so long because the lecture is supposed to cover all the activities of the week. 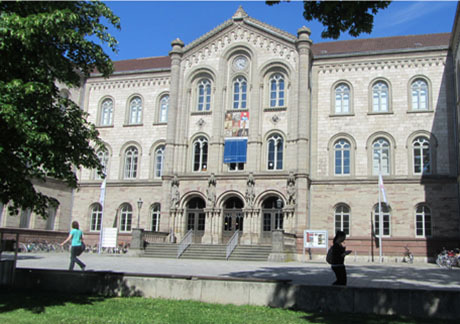 Address: Spitalgasse 2, Hof 2.2., Hörsaal A. On the 10th I will hop on a 5.50 am train to Prague, to see the group exhibition Care Crisis in which my installation Nothing is Missing is installed. I could not go to the opening because of the opening, the same day, of Islands of Madness in Mariehamn, Åland. I really want to see how the exhibition as a whole hangs together; I have heard good things about it. On May 11th I will attend a conference organised by my friend Andrea Braidt, thanks to whom this whole trip became possible. On May 12th, at 11 am, Nothing is Missing opens at Brunnenpassage, Brunnengasse 71/Yppenplatz, where it will be shown in the middle of a busy shopping area, from 13 to 17 May. I’ll post a photo when I have it. It is quite amazing how well this installation is received; it has been in more than 30 venues. On this photo, in Belfast. Finally, Saturday 12th at 8 pm, the beautiful and progressive cinema Topkino, Rahlgasse 1 organises a screening of A Long History of Madness with introduction and Q&A. From 13 to 19 May the film will be screened every evening at 5.30. Not prime time, but given that it lasts 2 hours, it can be done between work and dinner. 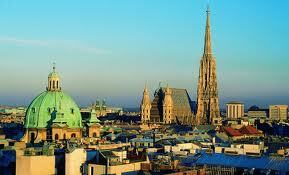 Well, that’s it for Vienna. Sunday I take the first morning flight to Paris. There, the film will be projected, finally, in the home town of the author and main character Françoise Davoine, in her presence and that of Jean-Max Gaudillière, who appears only briefly in the film (in the public at the Trial) but was really our man behind the scene. 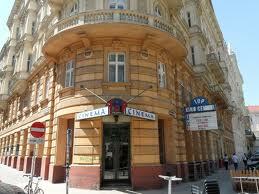 Again, the organisers have chosen a top theatre, “pour cinéphiles”, Les 3 Luxembourg, 87 rue Monsieur le Prince, Paris 6e. This is followed by an afternoon of discussion beginning at 14.30 at the nearby Faculté de Théologie Protestante, 83 Boulevard Arago, Paris 14e. The screening is Sunday May 13th at 11 am. I will stay in Paris the rest of that week, to relax, see friends, and prepare sets for Madame B. We plan to shoot in Paris in the Winter, December of January. More news on that when we have it!